Though Rosewood isn't real, local fans know "Pretty Little Liars" isn't shy about name-dropping real nearby towns and landmarks. 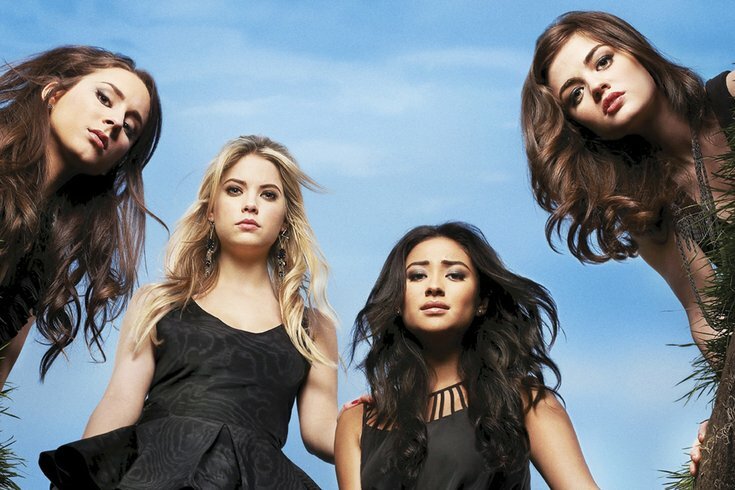 Mega-hit teen series "Pretty Little Liars" is one of the most Tweeted about shows on television. But before it had millions of social media-savvy viewers tuning in each week, it was a book series written by local author Sara Shepard. The bestsellers are based loosely on Shepard's experience growing up on the Main Line; it's all set in the town of "Rosewood," a fictionalized version of Rosemont, Montgomery County. Though Rosewood isn't real, local fans know "Pretty Little Liars" isn't shy about name-dropping real nearby towns and landmarks. The show may be filmed in Los Angeles, but the Liars frequently find themselves in the soundstage versions of parks, neighborhoods and museums from the Philly area. 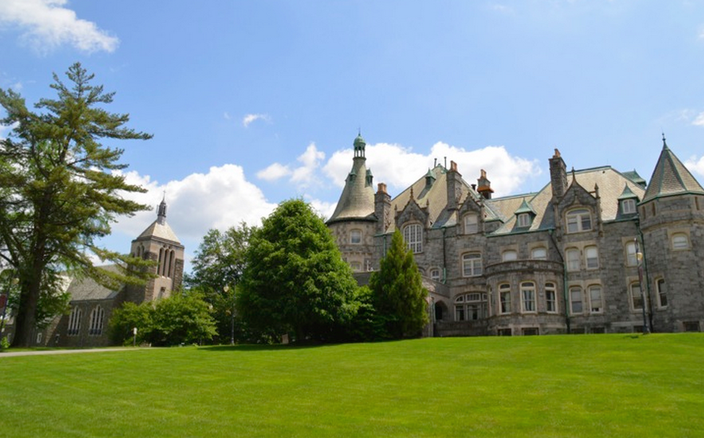 Photo by Susan Digironimo, courtesy of Rosemont College. Like Hollis College, the local school where Aria Montgomery takes art classes and Ezra Fitz used to teach, Rosemont is a liberal arts college with an old-fashioned campus. Though the campus filmed as Hollis is Ohio State University, Rosemont really gives off that classic collegiate vibe. With its stone facade and rolling greens, it's worth touring for the views alone. Photo by @gdozer, via Instagram. Rolling down Lancaster Avenue through downtown Rosemont and into Bryn Mawr, fans will find a dead ringer for The Brew, Ezra's coffee shop, at HotHouse Coffee. 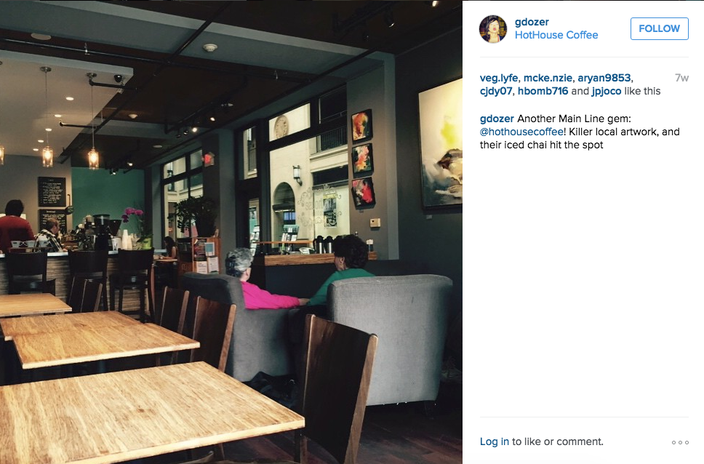 The little shop has found plenty of Instagram fans for its pretty lattes and the local art hanging on its walls. Though HotHouse only opened a few years ago, it's almost like they used episodes of "Pretty Little Liars" as design inspiration. Photo by Buck Sleuman courtesy of Bryn Mawr Film Institute. Rosewood Movie Theater, where quite a few dates happen on "Pretty Little Liars," is the show's go-to spot for black-and-white and silent films. Despite its exterior appearance changing over the show's six seasons, one thing has remained the same: it always has a classic movie palace marquee. 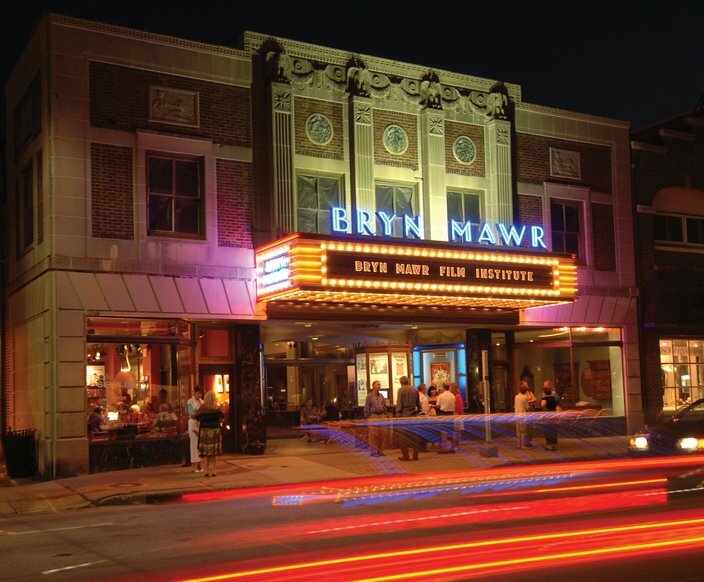 Strangely enough, Bryn Mawr Film Institute is known for hosting high-brow film programs and also has a retro neon marquee lighting up its facade. 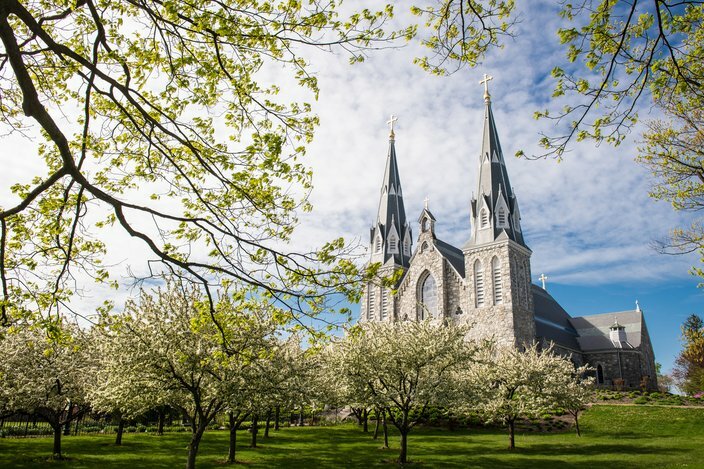 Just outside of Rosemont lies a beautiful church on Villanova University's campus. Though it doesn't look quite like the church that is so often frequented by the Liars – usually for quite unfortunate reasons – its 19th-century architecture is worth a look. The church, finished in 1887, is known for its double Gothic-revival spires. Photo by Thom Carroll / PhillyVoice. On Ezra and Aria's first date, they go to a swanky gallery opening in Philadelphia. The museum seen in the episode doesn't receive a name and was most likely created on an L.A. set. 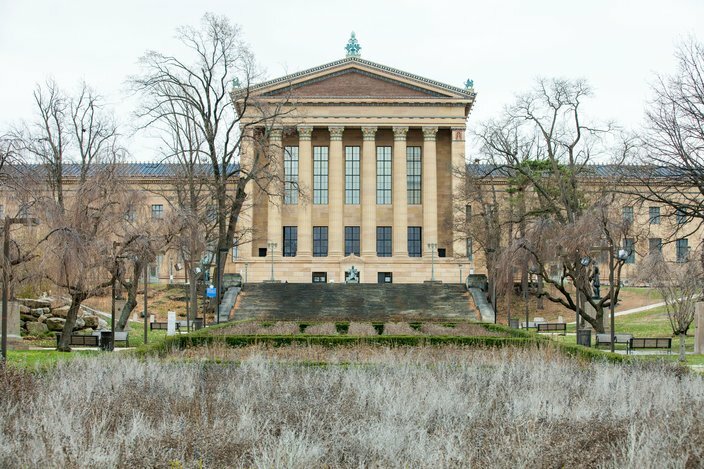 But its grand marble columns are certainly meant to represent the unmistakable facade of the Philadelphia Museum of Art. Photo by Matt Slocum, Associated Press. Formerly Pennhurst State School and Hospital in Spring City, Chester County, this spot spent its former life as an institution for the mentally and physically disabled. In 2010, the building was restored and turned into a haunted house attraction. Though it's a bit of a hike past Rosemont, there's no denying that it bears a spooky resemblance to Rosewood's Radley Sanitarium. 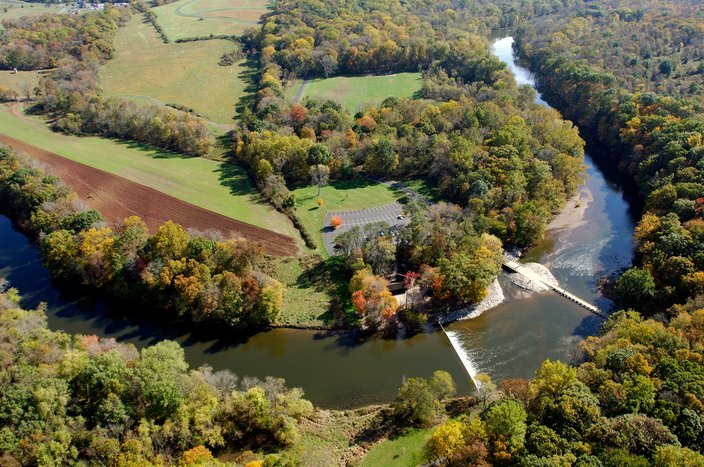 Photo by Bucks Air for Visit Bucks County. When "A" kidnapped the Liars at the end of season five and brought them to his creepy "Dollhouse," no one knew where they were – until a camera shot pointed to the sign at Tyler State Park. Luckily, with all of its playgrounds and picnic spaces, the real thing isn't nearly as terrifying as the show makes it look. It's also close to Yardley, Bucks County, where Toby Cavanaugh worked during the second season. Photo by Anthony Sinagoga for Visit Bucks County. In "Pretty Little Liars," Lookout Point is a secluded wooded spot right above Rosewood where Mona Vanderwaal is almost killed after a nasty fall. 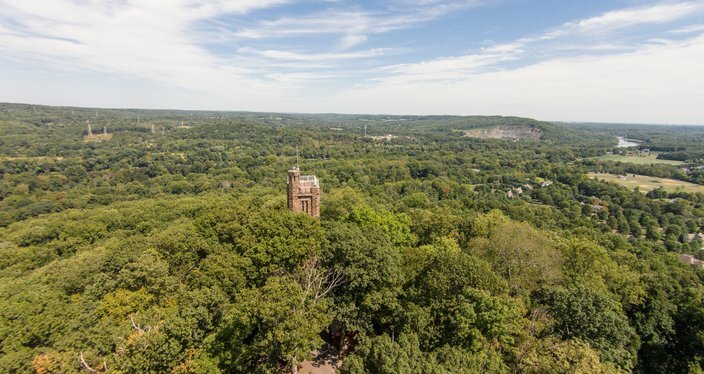 Though Lookout Park isn't located in Rosemont, it is just next to Bowman's Tower, which has a magnificent view over the Bucks County countryside. 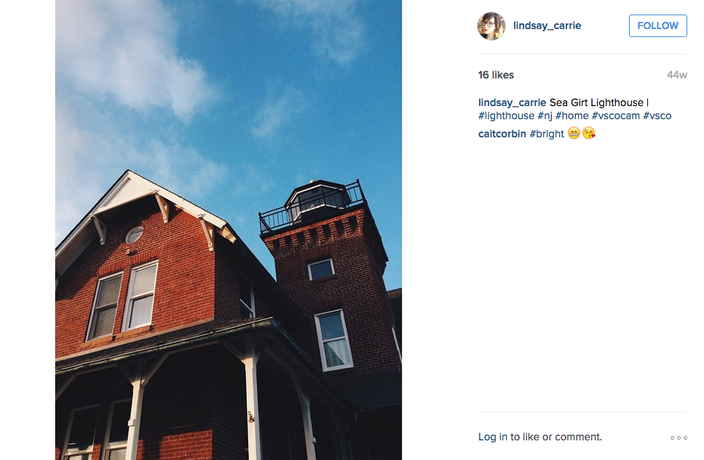 Photo by @lindsay_carried, via Instagram. During a Season Three episode, Emily Fields and her girlfriend Paige McCullers are nearly killed in the tower of Lighthouse Rock Inn in Belmar, New Jersey. Fortunately, no such dubious hotel exists in Belmar; however, there is a historic lighthouse located a few towns over in Sea Girt. It opened in 1896 and just recently became a museum. Photo by Beth J. Harpaz, Associated Press. Alison DiLaurentis, whose fake death kicked off the entire "Pretty Little Liars" storyline, spent her summers hanging out in Cape May, New Jersey. In this fictionalized world, Cape May is the party destination for young Rosewood residents. Though that doesn't really sound like the Cape May we all know, it's inclusion in the show is a great excuse to head down to the beach one last time this summer.